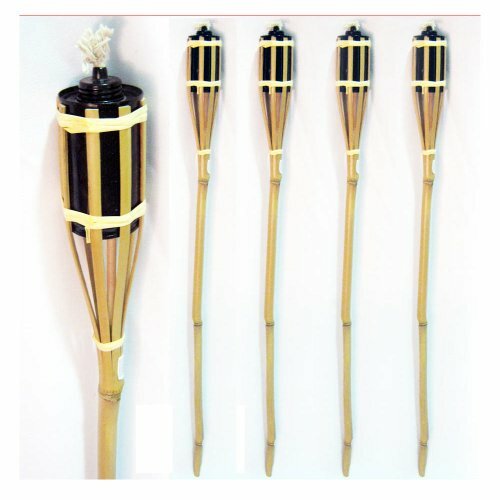 Brand New Set of 4 Bamboo Torches. These easy to assemble torches make any outdoor space special and party ready. Use them for birthdays, engagements, romantic dinners and more! Beautiful decor item that gives ambiance to any patio or garden. * Full-sized 3 Feet Height. * Measures: 3 Feet in length, circumference: 2", small rim hole 0.90"